Rutger van Zuidam is the Founder and CEO of DutchChain, a leading ecosystem development agency for open digital public infrastructure and Odyssey an Open Innovation Program which provides a unique collaborative infrastructure for governmental, corporate, and non-profit partners to find breakthrough solutions to complex societal challenges using blockchain, AI, and other emerging technologies. Rutger has more than 15 years’ experience founding companies across the communications, digital media, and tech sectors. He was previously an Advisor at NOM NV, the regional development and investment agency for Northern Netherlands, and was the Co-founder and Commercial Director of Paylogic, a next-generation ticketing and technology company based in Amsterdam. Before today’s interview, I spoke with Rutger about the similarities with the current blockchain and crypto landscape and the nineties when the internet first arrived. I offered the example of where Bill Gates was mocked for talking about his vision for the internet. Rutger offered another great example fo David Bowie being interviewed about the future of the internet by Jeremy Paxman who just didn’t get it. If you have not seen these videos, I urge you to check them out before listening to today’s podcast as it helps set the scene of where we have come from and where we are heading. 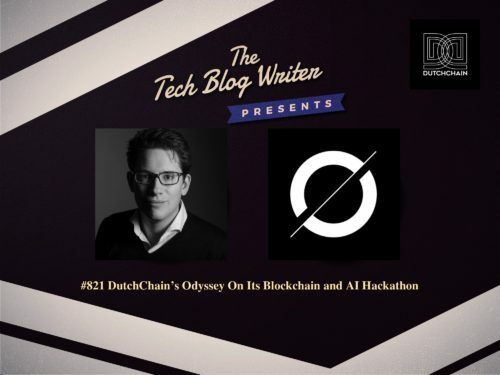 I invited Rutger to talk about all the above and Odyssey Hack 2019 which is the world’s biggest blockchain and AI Hackathon in the Netherlands. Odyssey Hack is much more than an event, it’s a quest to solve the world’s most pressing challenges through the power of technology and interconnected collaborative communities. Odyssey will bring together a unique international community of key stakeholders, from startups to big corporates, to creatives, regulators, developers, as well as legal experts, in order to utilise emerging technologies for a new way of organising our society and facilitating the transformation of the world for the better.